2009.06.23 Social Networks Overtaking Email - What are the Implications? 2009.06.22 Social Networks Overtaking Email - What are the Implications? 2009.06.21 Social Networks Overtaking Email - What are the Implications? 2009.06.20 Social Networks Overtaking Email - What are the Implications? 2009.06.16 Social Networks Overtaking Email - What are the Implications? 2009.06.15 Social Networks Overtaking Email - What are the Implications? 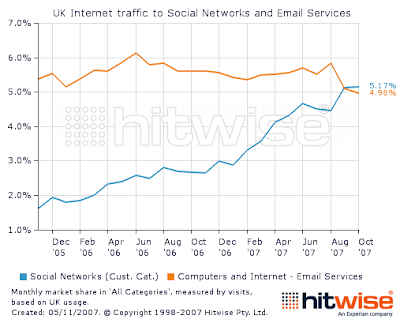 2009.06.14 Social Networks Overtaking Email - What are the Implications? 2009.06.13 Social Networks Overtaking Email - What are the Implications? 2009.06.01 Social Networks Overtaking Email - What are the Implications? 2009.05.23 Social Networks Overtaking Email - What are the Implications? Social Networks Overtaking Email - What are the Implications? Google Books Search for: Social Networks Overtaking Email - What are the Implications?